When a loved one passes away, you may find yourself in a situation where you have the responsibility of tying up loose ends or selling their property. Selling a house is not an easy task, especially if it needs to be fixed up. With that in mind, if you’re in the Stockton area, Cash For Stockton Houses has the solution. We buy houses as-is for cash, making it easier and affordable to sell your home. If you’ve inherited a loved one’s home and you’re looking to sell it fast without having to pay for repairs, contact Cash For Stockton Houses, or fill out our form to receive your cash offer. Inheriting a house from a loved one can come with a lot of sentimental value, but it can also be a burden. In today’s post, we will discuss a few things you should consider if you’ve recently inherited property from a departed loved one. If your ultimate decision is to sell the house, contact Cash For Stockton Houses for a cash offer today! One of the first things you need to do when you inherit a house is to inspect the property. If your loved one had lived in the house for years, chances are that it will need updating. It’s a good idea to take note of any major repairs that will need to be completed, in addition to any safety hazards. Whether or not you’re planning to keep or sell the home, it may be a good idea to consider hiring a professional to do a walk-through inspection of your home. This will give you a better idea of the exact condition of the inherited house. 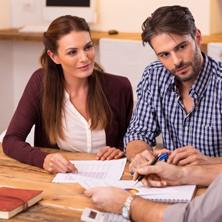 Unfortunately, once you inherit a house from a loved one, the property taxes will be reevaluated. This means that if the taxes were not up to the current market value, they will be raised to meet that standard. As a result, there is a good chance that you will have to pay higher taxes on the house that you have just inherited. If you’re worried about paying higher property taxes, Cash For Stockton Houses gives you the option to sell your house fast for cash. 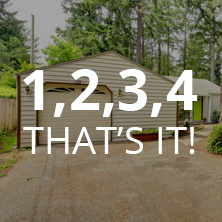 We’ll take the property off your hands, and you won’t have to pay the property taxes. It’s a win-win! Ultimately, it’s your decision whether or not you want to keep the property. This decision is important, and it may be a good idea to consult with the rest of your family to see if they have any strong feelings about what to do with the house. Should you decide to keep the house, there are a myriad of things that you can do. For example, you can choose to fix up the house and use it as a rental. If the inherited house is a better option than your current home, you may also make the decision to move! 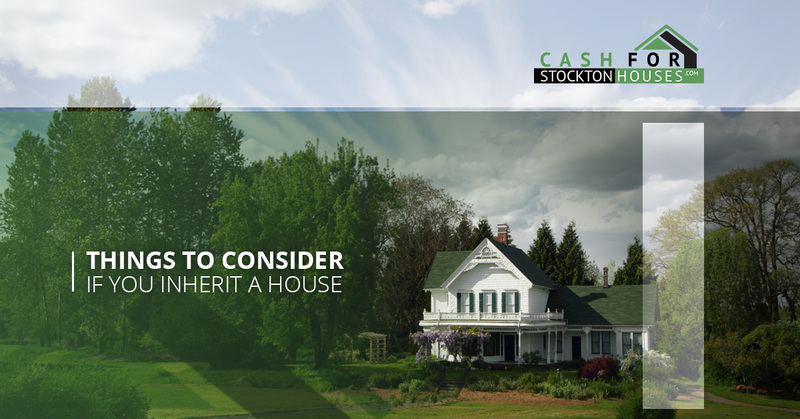 If you decide to sell a home that you have inherited, Cash For Stockton Houses can help. In addition to giving you a cash offer on your home, we buy houses as-is, meaning you won’t have to spend a lot of money to fix up the house before you move. To learn more about our easy, stress-free process, contact Cash For Stockton Houses today! If you’ve still got questions about us or our process, we’d be happy to answer them, just give us a call. Through our years of experience, we have solidified a process that benefits our clients fully. 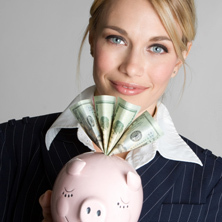 We offer high amounts of cash for homes in virtually any condition, quickly and fairly. Choosing between us and an agent? Pick us for speed, high profit, and an easy transition. ©2017 Cash For Stockton Houses - Do not copy. All rights reserved.